Enterprise resource planning (ERP) is a cross-functional enterprise system driven by an integrated suite of software modules that supports the basic internal business processes of a company. ERP gives a company an integrated real-time view of its core business processes such as production, order processing, and inventory management, tied together by ERP applications software and a common database maintained by a database management system. 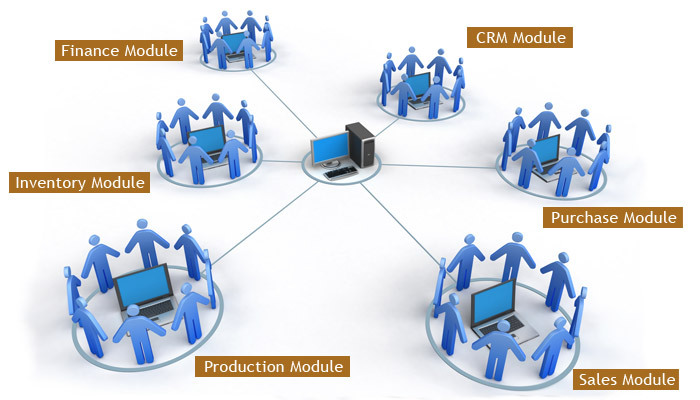 ERP systems track business resources (such as cash, raw materials, and production capacity) and the status of commitments made by the business (such as customer orders, purchase orders, and employee payroll), no matter which department (manufacturing, purchasing, sales, accounting, and so on) has entered the data into the system. ERP facilitates information flow between all business functions inside the organization, and manages connections to outside stakeholders.